Welcome to Mountain Springs Golf & Country Club. as well as access to our exclusive online specials. Call (209) 532-1000 or Book Your Tee Time online. Mountain Springs Golf Club is ideally located above the fog and below the snow in historic Sonora, California. 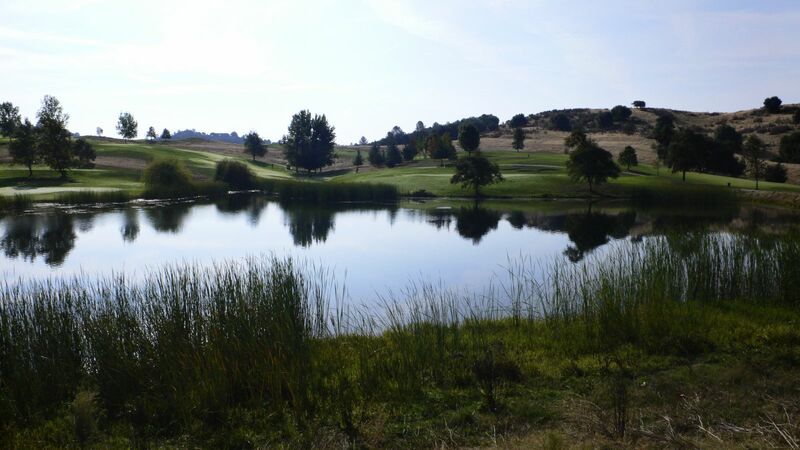 Play this scenic 18-hole Robert Muir Graves designed championship course while enjoying the Gold Country and the scenic beauty of the Sierra Nevada foothills. Opened in 1990, Mountain Springs has rapidly matured into one of the most popular facilities in the Sierra Foothills. This Robert Muir Graves-designed course is a challenge for players of all abilities. Mountain Springs provides a stocked Golf Shop, driving range, putting greens, and four sets of tees to accommodate golfers of all abilities! Call (209) 532-1000 or Book Online. Help us break in our new fleet of Golf Carts!